I haven’t always called South Dakota home. But, I am so happy that I do now. Even though the winters are often brutal for me. And long. And the cold is, well, so cold. It’s still an absolutely beautiful place to call home. I love it here. Things are slower paced, quieter, and I feel an overall sense of happiness in everyday life. Don’t get me wrong, I miss Indiana. But, I am pretty sure it’s mainly missing what made Indiana home. My friends and family. I have spent my life involved in agriculture. 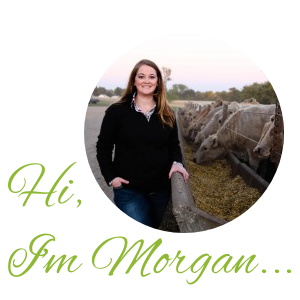 By the time I went to college I had met many people across the state and been involved in various endeavors in the world of agriculture from FFA to 4-H to even sitting on a committee at the Indiana State Department of Agriculture. When I married my farmer I knew I would be working on the farm, but I also knew that I would continue to be involved in the industry off the farm. Instead of teaching with my degree in Agricultural Education I started writing on this blog and then speaking at various events. Talking about one of the most important things to me- agriculture. I have had the opportunity to write for various blogs and have been featured in many magazines. But, I am most excited I think for this newest endeavor. It’s almost like I am “officially” a South Dakotan. I was contacted a few months ago about being a featured columnist for South Dakota Magazine. Which is pretty awesome. So, once a month I will be writing a column for the magazine’s blog about life on the farm, cooking on the farm, and raising my family on the farm. Pretty much all things farming and agriculture- which are my favorite topics. Life might be busy right now, especially with our newest addition. But, that doesn’t mean my passions have changed. If anything I have grown more and more excited about watching my children grow and become more and more a part of the farm. For this month’s column I did an intro post. Check it out here.